Swing Barrier is generally used in simple dissuasion level Access Control of public passages. 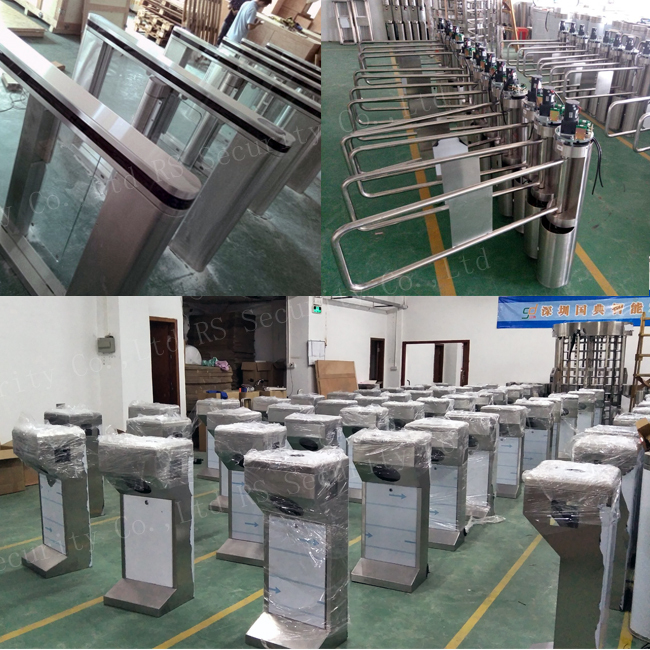 It is widely used in work attendance checking systems of factories, consumption systems of public institutions, access control of residential estates, ticket exit systems of scenic, sports and other arenas, hand-key management systems of construction sites and so on. The mechanical part of the barrier contains an emergency control device, which allows free passage in case of power fail. The Turnstile has different optional configurations for the applications of all building conditions and for the control of all kinds of passage entrance-exits. Different identification systems (ID card, IC card, bar-code, hand-key, fingerprint, iris, etc.) can be configured into the barrier system. The barrier can be connected to any kinds of controllers and various consumption devices. 1. Fault detection and alarm functions, easy to use and maintenance. 2. The running status can be programmed and controlled with the built-in keyboard on the main board. 3. Mechanical antipinch function. If the Gate meets resistance in the reset process, motors will stop working automatically within the prescribed time and reset again after the default delay (till fully reset). 5. Synchronization functions (for dual gate equipments). 6. Automatic reset function. Should the user fail to pass within the prescribed time (default time is 5 seconds), the system will cancel the authority of the current user automatically. 7. Gate can be set as normally open or normally closed. 9. Direction can be set as single-direction or bi-direction. 11. Gate auto opens when power off and auto close when power on, complying with fire safety requirements. 14. Support infrared photocell for anti-pinch and reset function (optional). Looking for ideal Optical Swing Barrier Manufacturer & supplier ? We have a wide selection at great prices to help you get creative. All the Optical Swing Barriers are quality guaranteed. 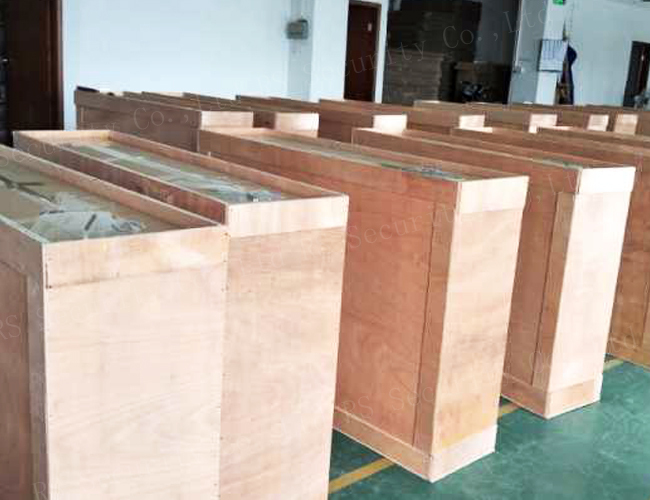 We are China Origin Factory of Optical Swing Barrier Gate. If you have any question, please feel free to contact us.